ANNAPOLIS, Md. – Maryland celebrates award-winning, citizen-centric website www.Maryland.gov, honored nationally and internationally by nine prestigious organizations this year and boasts 39 awards since 2014. These honors recognize Maryland.gov as a leader in delivering a best-in-class communication platform and impact to the evolution of digital media and interactivity of government website design to better serve the citizens in the state of Maryland. “The Maryland Department of Information Technology is proud of the evolution of Maryland.gov. These awards are a testament to our ability to keep pace with current IT trends and consumer preferences, in an effort to provide citizen-centric IT solutions to Marylanders.” said Acting Secretary, Mike Leahy. Maryland.gov provides a gateway for more than 87 million visitors to agency websites and hundreds of time-saving digital government services. Agencies and visitors have access to payment processing gateways, real-time social media mashup for more than 300 agencies, help desk with live chat, interactive events and public meetings calendar, and citizen-centric Google site search. Maryland.gov’s engaging design was developed with a mobile-first approach to serve the 42 million mobile visitors. The portal utilizes responsive design techniques for flexible display on smartphone, tablet, desktop or laptop devices. Maryland’s use of GIS state data mash ups within the NearYou geo-location mapping service integrates the Motor Vehicle Administration’s queue system with office locations to display current wait times at branch offices. State park, agency locations, and even state jobs are visibly displayed using this citizen-centric feature. Maryland.gov is truly cutting edge, putting citizen’s needs at the forefront of design. 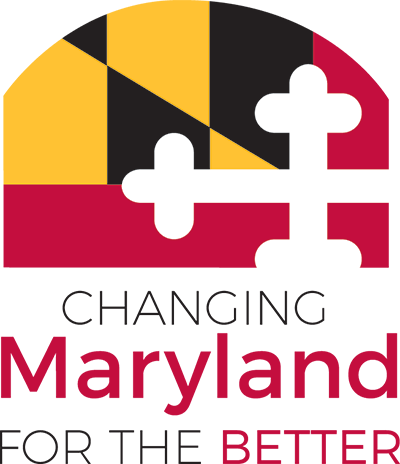 The Maryland.gov website was developed for the state of Maryland at no cost by NIC Maryland, through a statewide self-funded digital government master services agreement with the State Department of Information Technology (DoIT).